I share your taste for savory breakfasts. I could eat this kind of breakfast all day. This does make a lovely supper, as well, Lynda...I'm always a fan of breakfast-for-dinner! I love this dish Hannah. 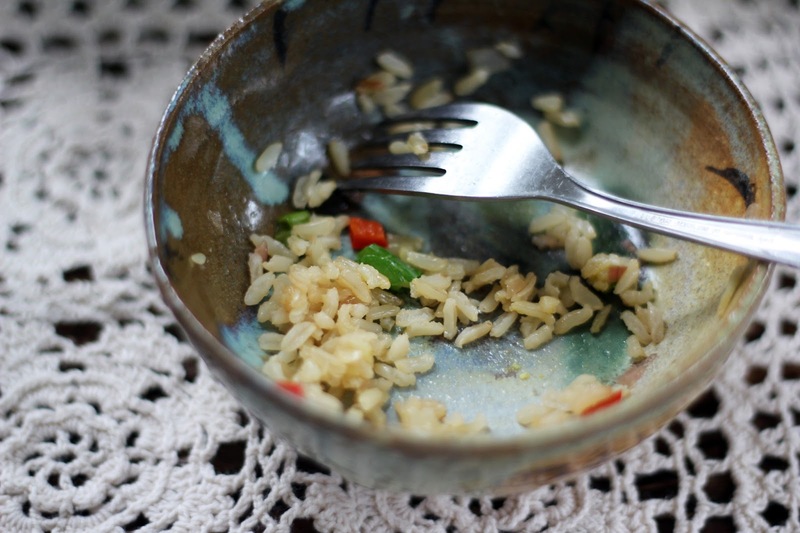 It is kind of ironic because my next post is on a homemade rice bowl. 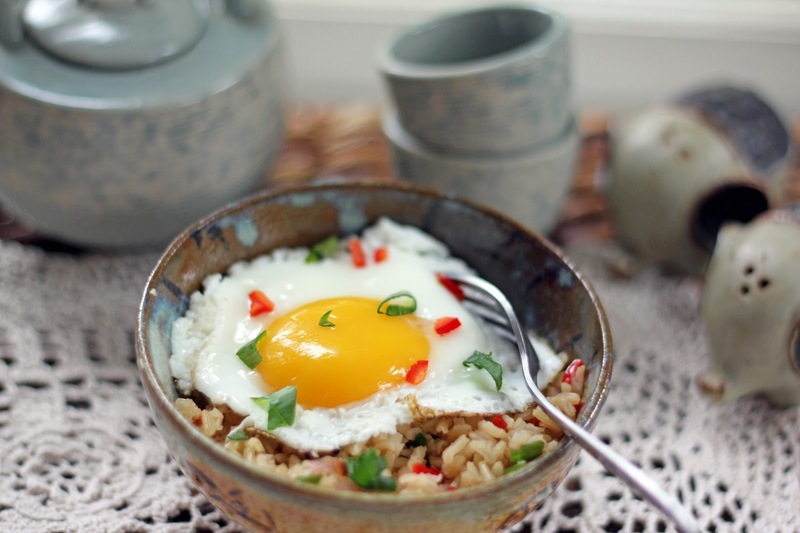 I am just imagining all of the flavors in this rice and egg dish. My mind says yum. Thank you, Penny! Great minds, right? I look forward to reading about your rice bowl, which I'm sure will be quite tasty. Have a lovely weekend! Just found your blog. Love it! And you have backyard hens? I'm jealous, lucky you! Hi Azita, we do have backyard hens and I just love them. They are full of personality and antics, so provide lots of entertainment in addition to eggs. I appreciate you stopping by! I ate the leftover rice from the chicken and rice dish I posted on my blog this week with a fried egg for breakfast for a couple of days. It was so good! I'd love to get into the savory breakfast routine. I also need to get my hands on Burma--I'm hearing so many great things about it! Your chicken dish looked so good, Brianne, I'm sure the rice made a marvelous breakfast with an egg! After all the cooking I did out of Burma I can definitely recommend it for your wish-list. Hannah your photo styling is getting better and better. Beautiful colors. Thank you, Margot! I appreciate your kind words. It was wonderful to see you - hope you're still enjoying some birthday cheer. 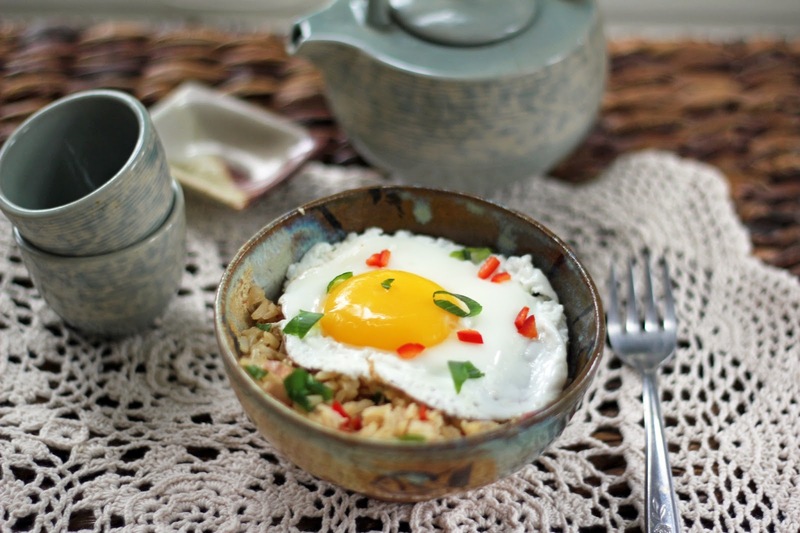 I am a big fan of savory breakfast and this looks amazing (for lunch or dinner as well!). Thank you, Alyssa! It does make a terrific supper. I can pop an egg on most anything and call it a meal! Love this! We need more rice-based breakfasts here in the States. I enjoy them so much when we travel. I need to make the more at home. Thanks for the inspiration. Beautiful photo! Thank you, Lori! I was first introduced to a rice-based breakfast when we hosted our exchange student from Thailand almost 10 years ago. Soy sauce had not been part of my morning meals before that! I liked it instantly, though, and love these types of breakfasts now. I'm happy you stopped by! Thank you so much, Suzanne! 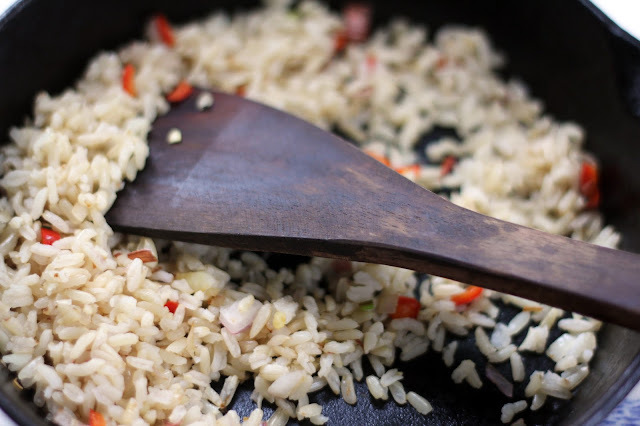 I find myself making extra rice or other grains to keep on hand for meals such as this now. I am with you on breakfast, savoury almost always wins out over sweet & I think I have an egg almost every day. 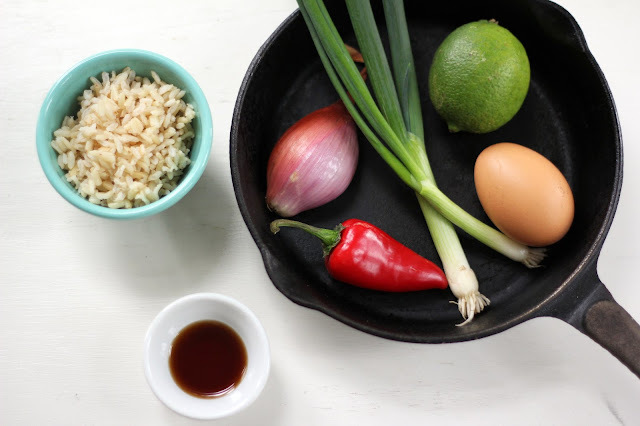 Love the fish sauce & lime....what a great way to awaken your taste buds. I do think eggs are one of my favorite foods, Mairi! I have one almost everyday, too. 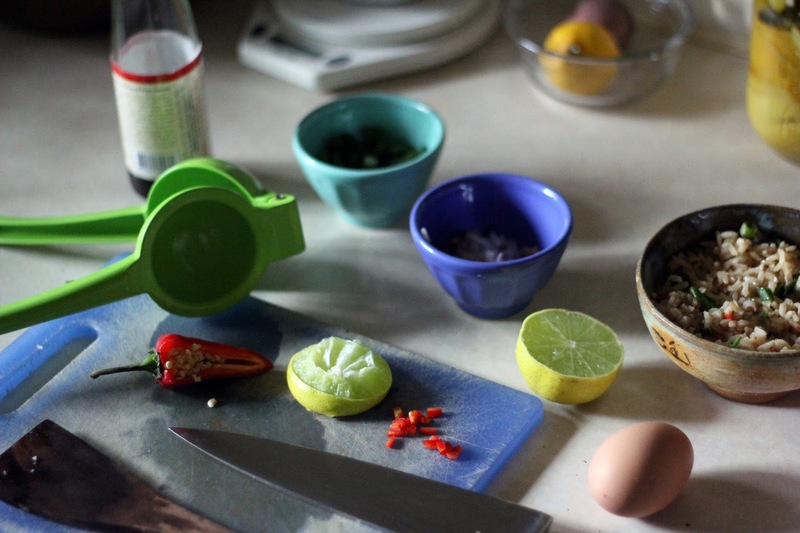 The lime and fish sauce here definitely jazzes it up and makes it a nice one for the breakfast repertoire. Eggs, rice and fish sauce -- these become so many meals in our home! Of course they would make a wonderful breakfast, why didn't I think of it before :) Delicious! Thank you, Sophie! This is a favorite combo for us for dinner, too. I'm happy you stopped by and hope you have a wonderful July 4th!